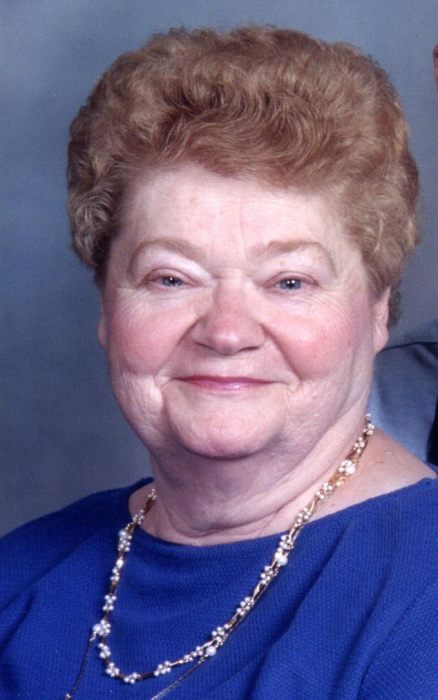 Martha Harms, 81, of Streator, passed away Tuesday, November 20th at OSF St. Elizabeth in Ottawa, Illinois. Private family services will be held. The Elias Funeral Home is assisting the family with the arrangements. Born June 21, 1937 in Adanou, Poland, she was the daughter of Leopold and Marie (Schulz) Ickert, she married Henry J. Harms June 9, 1957, he passed away in 2004. She is survived by a daughter Rebecca (Robert) Sauers of Streator, son Dr. Robert (Kim) Harms of Streator, grandchildren Cheryl (Jim) Pellino, Cassondra (Lance) Moquin, Robert (Courtney) Sauers, Zachary (Elizabeth) Harms, Madison Harms and Christian Harms. Also surviving is a brother Karl Ickert, sister Erna Harms, great-granddaughter Mariah Pellino and several nieces and nephews. She is preceded in death by her parents, husband, a brother Richard Ickert and a brother in infancy. She graduated from Hillsboro High School in 1956. Martha was a very compassionate and loving Christian. She firmly believed and practiced loving everyone as the Lord loves us. Martha was always great at giving Godly advice, listening, and counseling others. She served as a mentor, guide, and shepherd to all people that she encountered everyday. Martha enjoyed every aspect of farm life; whether it was bringing food to the field, hauling in grain, working the fields, tending to her chickens or planting, harvesting, and canning vegetables from her garden. Her favorite pastimes were admiring the deer gathered in her fields, reading her bible, cooking and sewing. She served many people by making delicious homemade German meals. She enjoyed the simplicity of life with great joy. Martha lived everyday by being a positive influence to every life she touched. She was a member of St. Paul’s Lutheran Church and was active in all aspects of the church. Until her husband passed away, they were avid travelers throughout the United States and Europe. She also was a seamstress at Opdykes in Streator for several years. In lieu of flowers, memorials may be directed to her church.